Mallet No. 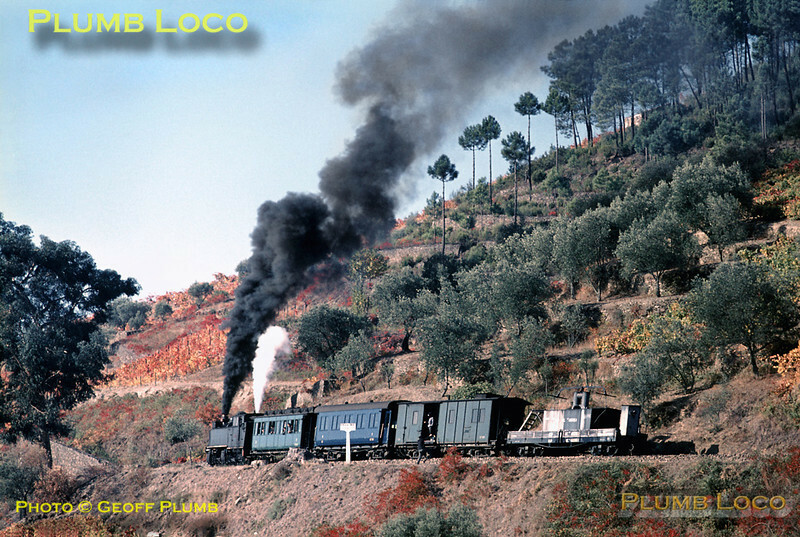 E205 has climbed round the loops and curves above Carrazedo on its way to Vila Real with the 10:21 train from Régua. It had collected a water-carrier wagon at Carrazedo and has now stopped to uncouple this wagon, the brakesman just climbing down from the Baggage Van. Once uncoupled, the train carried on its way, while the water wagon rolled by gravity back to Carrazedo, stopping at rail-side houses to fill up their water supplies as it did so! Thursday 5th November 1970. Slide No. 5802.